KFC and Burger King both use experiential to make a deeper connection with consumers, but which makes the bigger impact? In the UK, the brand works with Mother and has also partnered Savvy for activations, while in the US, campaigns have been devised with Wieden & Kennedy Portland. On Twitter, @KFC in the US has 1.28 million followers and @KFC_UKI has 61,100 followers; its Facebook page has nearly 50 million ‘likes’, while on Instagram there are just under 20,000 followers for KFC_uki. 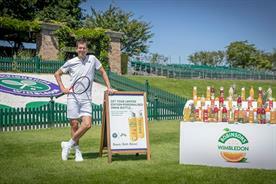 During last year’s Wimbledon Championships tennis, KFC teamed up with Britvic-owned fruit-drinks brand Robinsons to stage an interactive window takeover at its Wimbledon Broadway restaurant. Guests were able to take part in a giant, interactive version of the arcade game Pong as they made their way to the tournament. 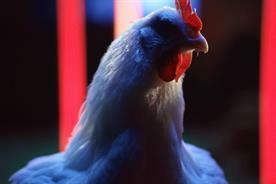 In August and September, KFC created the Southern Legends music tour to bring to life the provenance of its Southern Legends range of four limited-edition chicken burger variants. A series of gigs took place in UK restaurants showcasing the tastes and sounds of the American South. 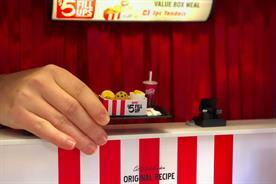 KFC created the world’s smallest version of one of its restaurants for a one-day pop-up in the US in December. Visitors had to lay on the ground to look inside the restaurant, where a (relatively giant) hand was giving out free tiny versions of its $5 Fill Up meals – combinations such as three chicken pieces, mashed potato, Dr Pepper and a chocolate chip cookie – cooked in a miniature kitchen. 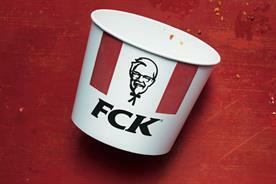 The activation was promoted via a video showing how KFC’s food is made in a very small kitchen. 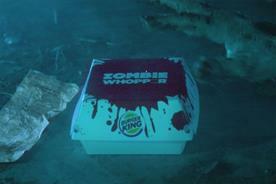 Burger King works with several agencies for its activations, including Buzzman, AKQA Brazil and PsLive. Its Twitter account in the US has 1.61 million followers, @BurgerKingUK has 25,800 followers, and its Facebook page has just over eight million ‘likes’, while on Instagram there are 1.4 million followers for Burger King USA and 2,707 for the UK version. 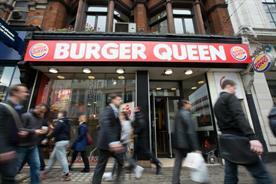 For the Queen’s 90th birthday, in April 2016, Burger King renamed its Tottenham Court Road branch 'Burger Queen'. The PR stunt was created by PsLive, with Isobar and Vizeum, to get people talking about the brand, while giving a nod to Her Majesty on a 'whopper' of a big day. Burger King staged a gift-swapping activation in late December the same year, in which participants could swap unwanted their Christmas gifts for a Whopper burger. 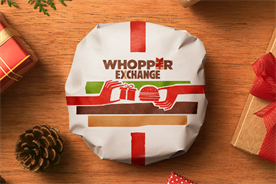 The first 100 people to post a photo of the gift swap to their social-media profiles, using the hashtag #WhopperExchange, received a gift card to redeem a Whopper at their local restaurant. All the unwanted gifts received were donated to charity. 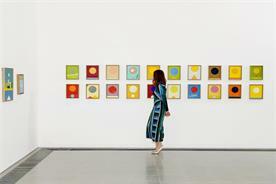 The activation ran in the UK, US and Brazil. 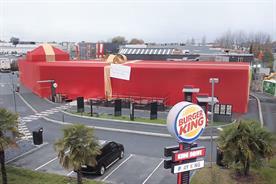 In December, Burger King France literally wrapped up a store – in one kilometre of fabric – as a gift to its biggest Facebook fan, Sullyvan K. The man, who had left more than 600 comments on BK France’s Facebook page, also received a pass to eat free for a year at his local Burger King restaurant, along with his own personal table, gold tray and napkins, personalised Whopper packaging, and a parking space with his name on it. Burger King’s tongue-in-cheek humour, its fun approach to experiential and its ability to both entertain and create the unexpected, gives it the edge over KFC.